STUNNING!! This BRIGHT, SOUTH WEST corner, two bedroom unit has been completely RENOVATED and is ready to be shown off to your friends and family!! Featuring all new STAINLESS STEEL appliances (including a built in WINE FRIDGE, WALL mounted microwave OVEN and a FULL SIZE washer and dryer!) hand-scraped hickory engineered hardwood, all new lighting, a HUGE ISLAND with tons of STORAGE and SOLID WOOD doors! Oh, and did I mention that it has one UNDERGROUND HEATED PARKING STALL??? This unit has a great size SOUTHWEST facing balcony (perfect for evening BBQ's)and is UNBELIEVABLY QUIET! Location is spectacular! 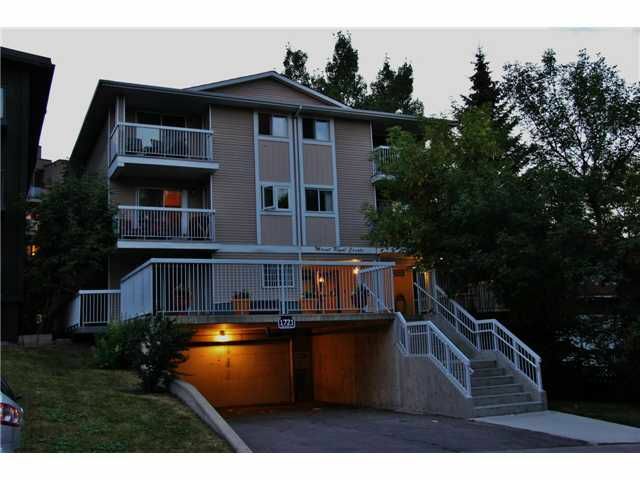 All within walking distance to shops, restaurants, bars, transit and the energy of 17th Ave! This building is professionally managed, with only 11 units on 3 floors and over 100k in their Reserve Fund!! GREAT NEIGHBORS :) No one ever moves! Call your favorite Realtor to view or come by our OPEN HOUSE SUNDAY, SEPTEMBER 9th 1-4! !